Celebrations of American Independence generally focus on the men who made it happen. There were those who made it happen on paper, like John Adams, or Thomas Jefferson, or Benjamin Franklin. And there were those who made it happen on the battlefields, like George Washington, or Nathanael Greene, or Henry Knox. But there were no women in the Continental Congress, and no women in the Continental Army. As with many great historical events, women were, sadly, relegated to the sidelines. But one woman had an important influence on the great event of American Independence, albeit from the sidelines. Abigail Adams, wife of John Adams, was her husband’s “dearest friend,” the mother of his children, the sounding board for his ideas. But Richards also brings Abigail herself to life. The great frustration of Abigail’s biographers has always been that she never kept a diary. Her youth and the early days of her marriage are not all that well documented. 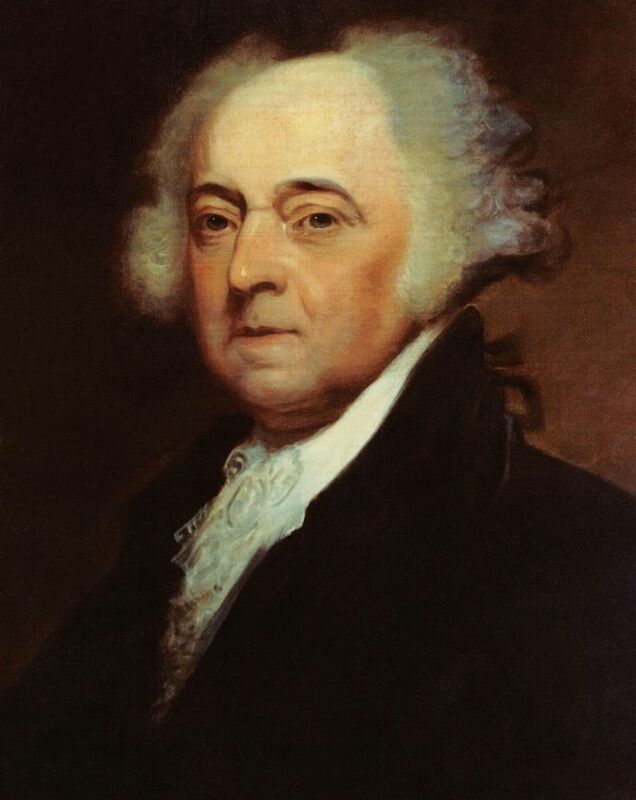 Although John Adams kept a diary, he only occasionally mentioned his wife in it. We learn who she is primarily from the many letters she exchanged with him — but that correspondence didn’t begin in earnest until a decade after their marriage, when he was thoroughly embroiled in the fight for American Independence and was away from home for long periods of time. … in the new code of laws which I suppose it will be necessary for you to make, I desire you would remember the ladies and be more generous and favorable to them than your ancestors. Do not put such unlimited power into the hands of the husbands. Remember, all men would be tyrants if they could. If particular care and attention is not paid to the ladies, we are determined to foment a rebellion, and will not hold ourselves bound by any laws in which we have no voice or representation. By yesterday’s post I received two letters dated 3d and 4th of July, and though your letters never fail to give me pleasure, be the subject what it will, yet it was greatly heightened by the prospect of the future happiness and glory of our country. Nor am I a little gratified when I reflect that a person so nearly connected with me has had the honor of being a principal actor in laying a foundation for its future greatness. May the foundation of our new Constitution be Justice, Truth, Righteousness! Like the wise man’s house, may it be founded upon these rocks, and then neither storm nor tempests will overthrow it! During an union of more than half a century they survived, in harmony of sentiment, principle, and affection, the tempests of civil commotion; meeting undaunted and surmounting the terrors and trials of that revolution, which secured the freedom of their country; improved the condition of their times; and brightened the prospects of futurity to the race of man upon earth. July 4, 2016, is the 240th anniversary of American Independence.